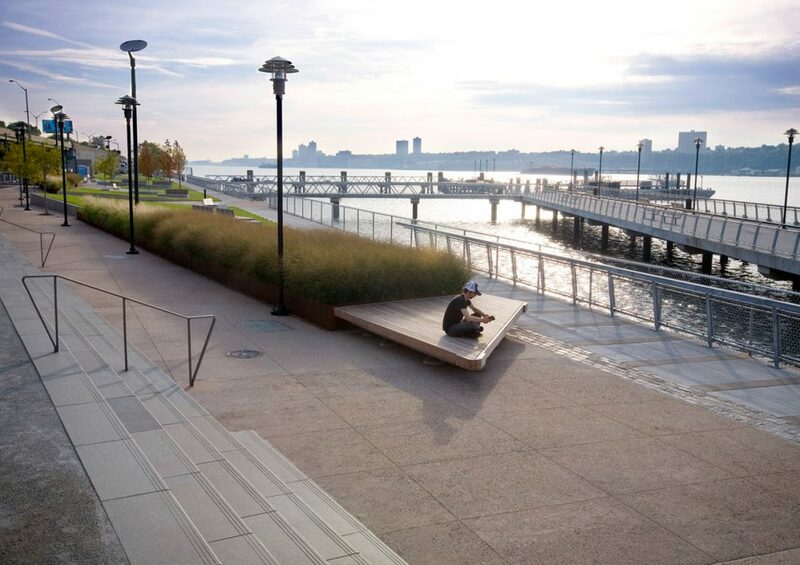 At this narrow park, we restructured the threshold between the city and the river in a sustainable and meaningful way, expanding the space available to the community. 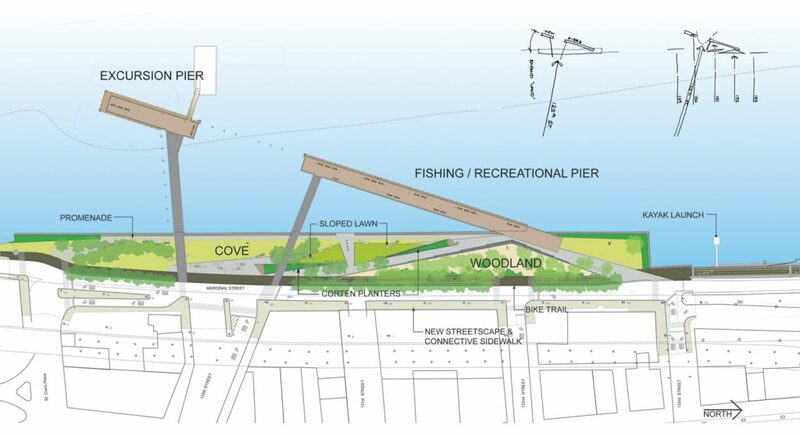 The first phase of our master plan, the design is based on the cove form as a place where natural and man-made forces converge. 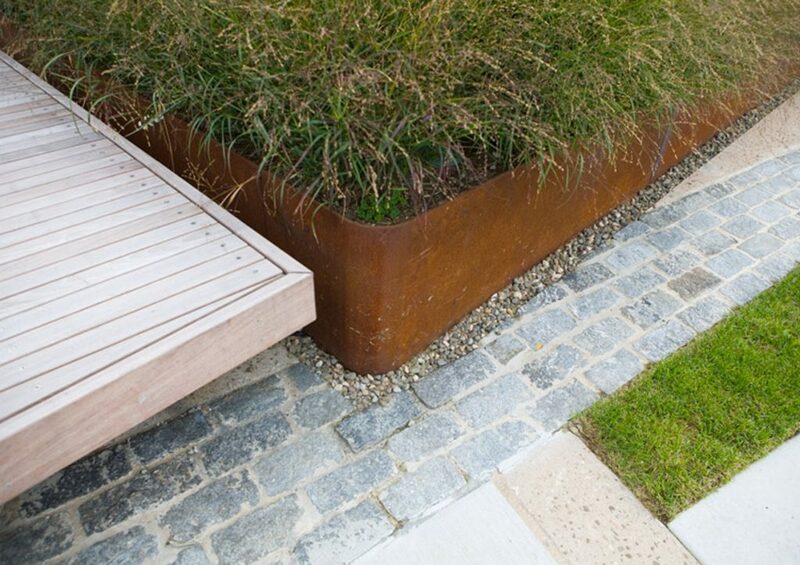 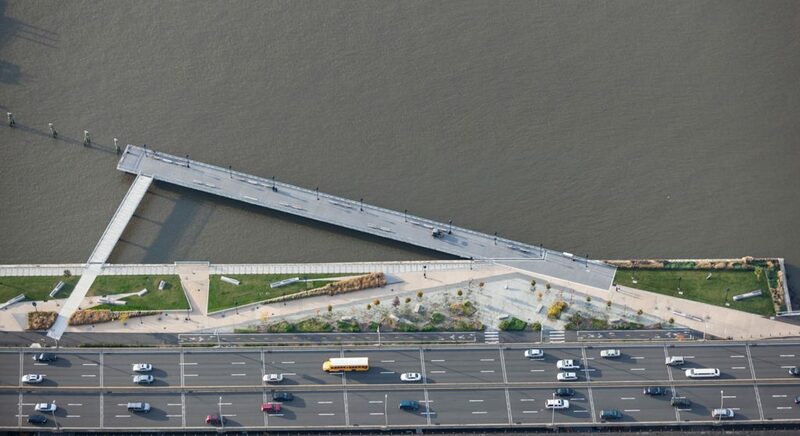 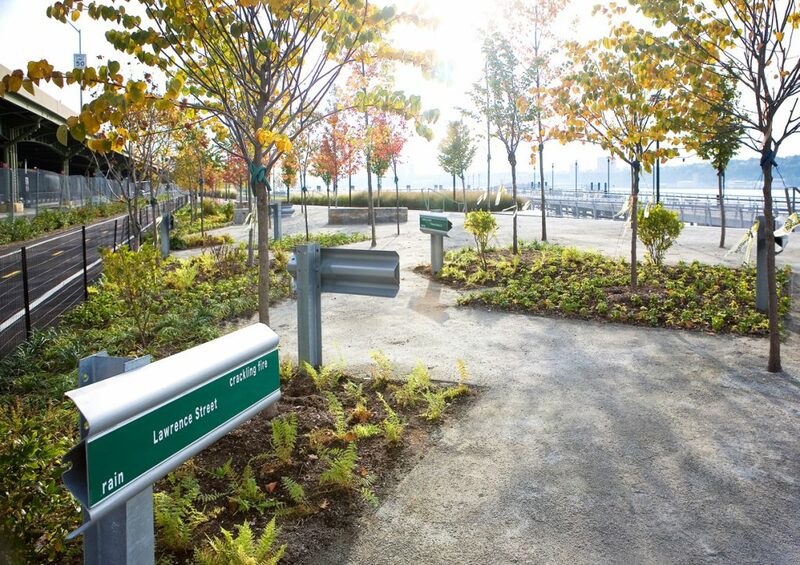 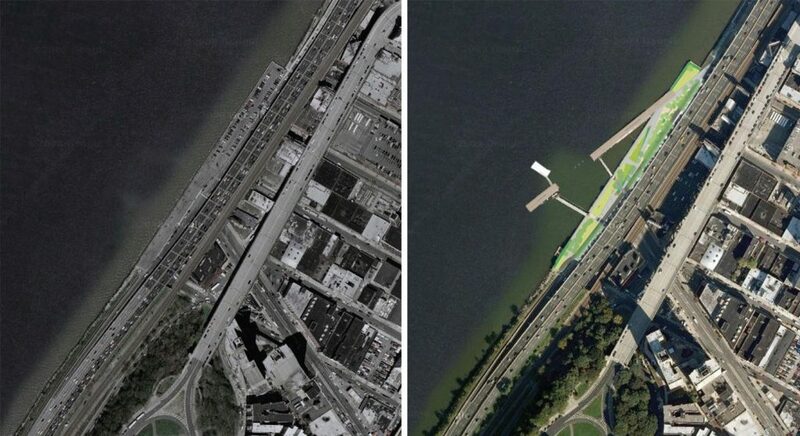 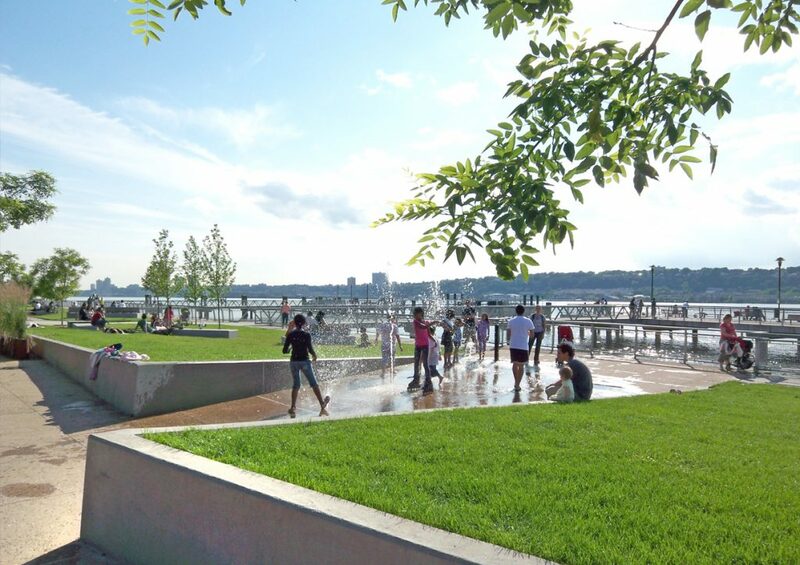 Elements of the park—including benches (reusing granite blocks from the bulkhead), patches of lawn, pavement pattern, the pier configuration and planters—are derived from water based ecologies using diagonal geometries to expand the space. 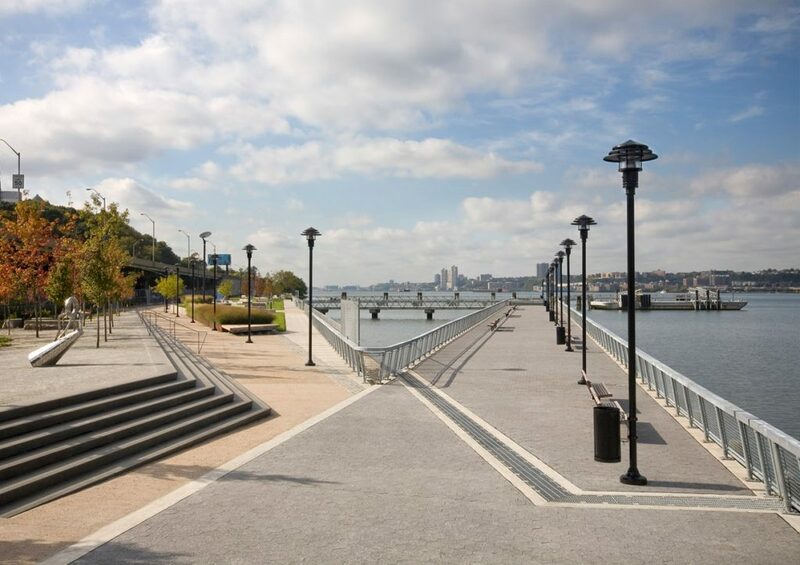 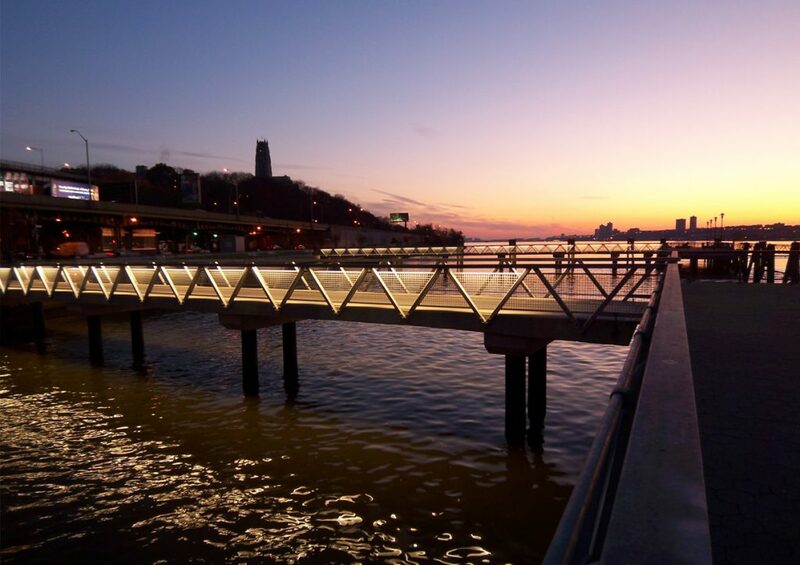 The piers provide water-related activities including fishing (we installed reef balls on the floor of the river for fish habitat), boating, and ecological awareness. 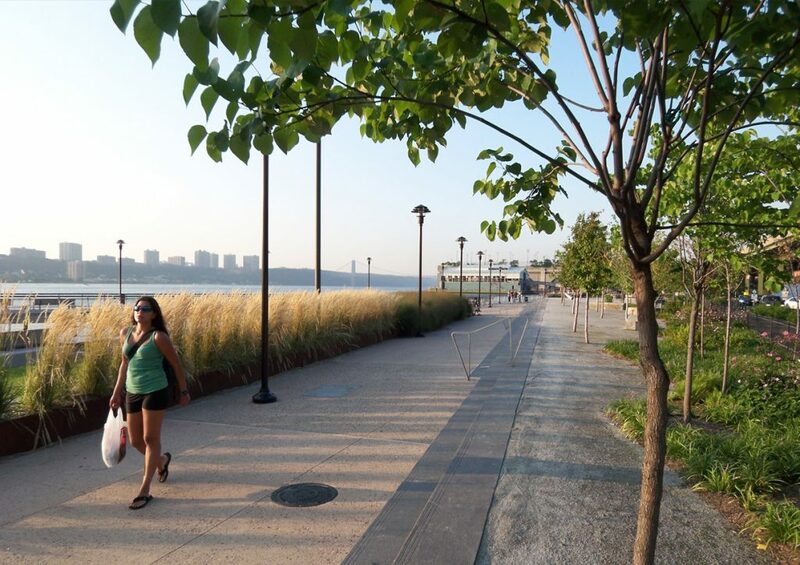 The plantings create two ecologies: a woodland with deciduous trees, low understory, and perennial ground cover; and the cove, with colorful, 300-foot-long perennial beds and sloped lawns. 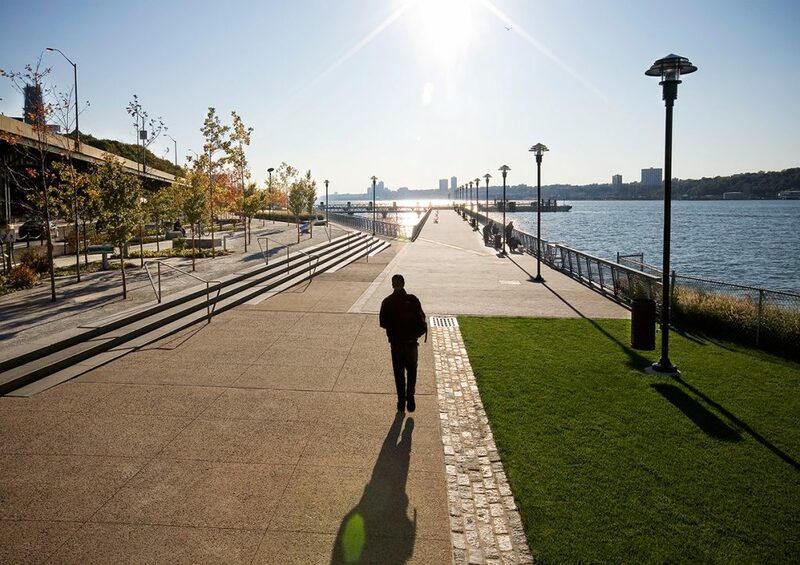 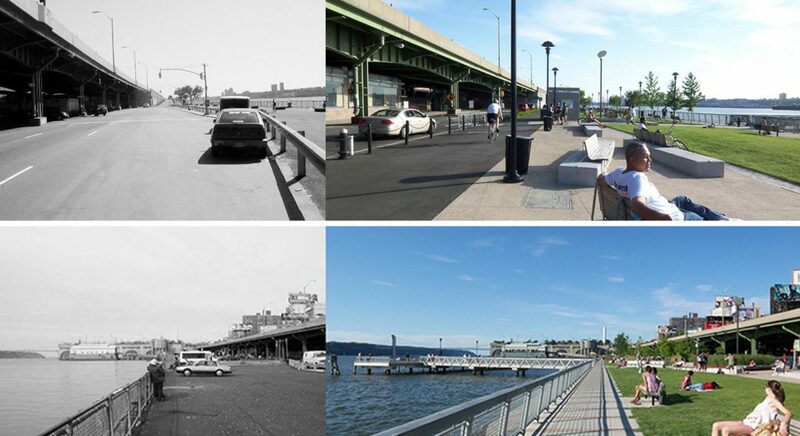 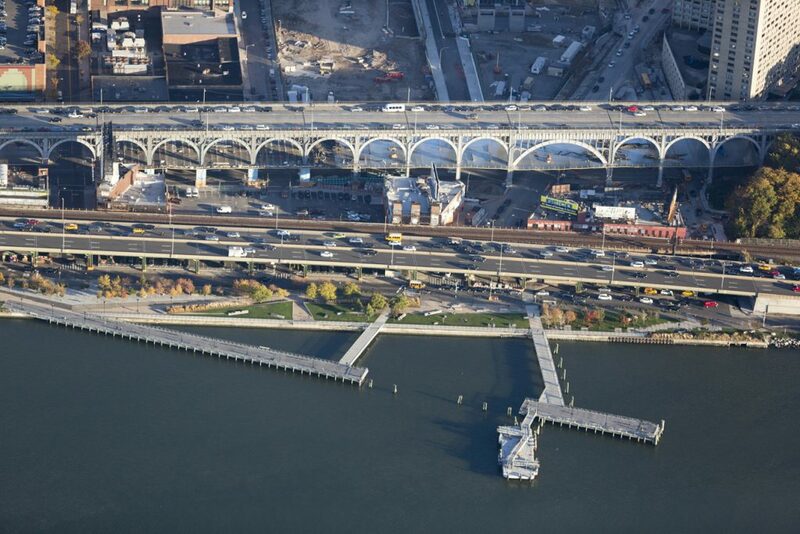 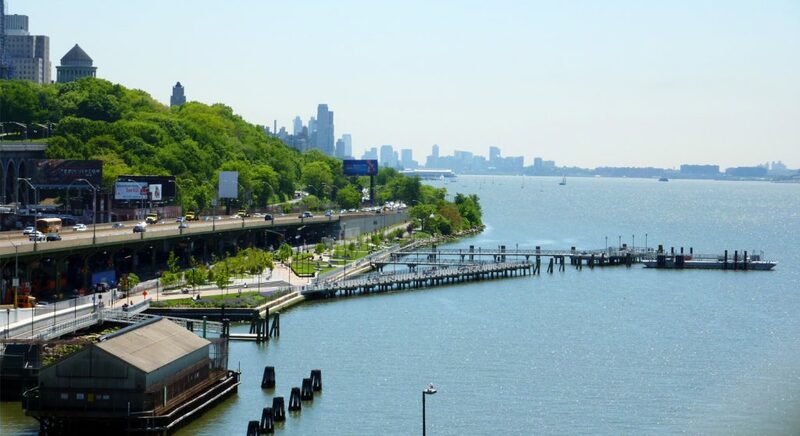 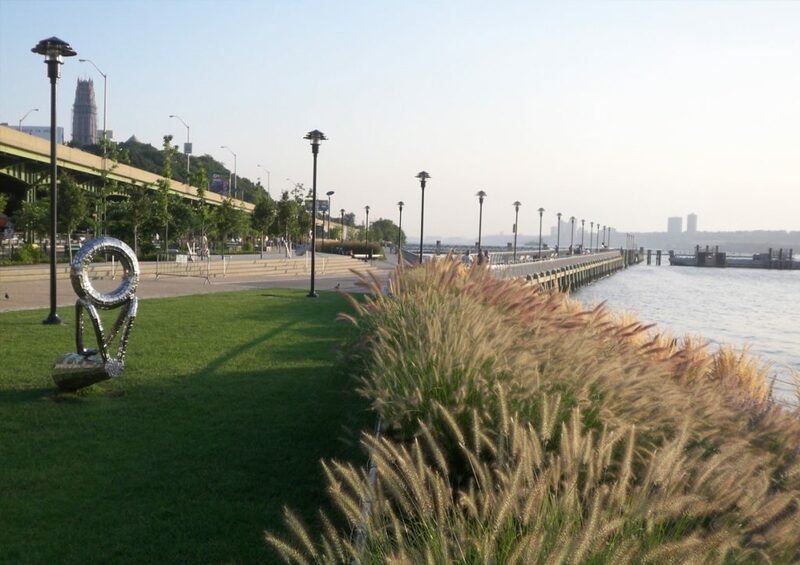 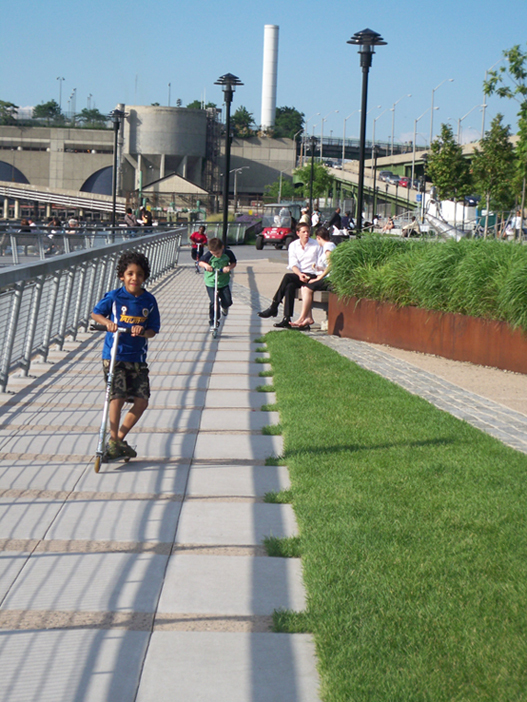 Creating this 105,526-square-foot park out of a narrow, 69,000-square-foot parking lot culminated the community’s 30-year effort to reclaim its waterfront connection.